Fixing to start his next film project, one local director is anxious to bring the new production to Windsor. When not busy pranking Starbucks with Gavin Slate or filming another music video, producer/director Gavin Michael Booth is looking ahead. Not one for taking a break, the film-maker’s crowded schedule isn’t clearing up anytime soon either. While waiting for things to line-up for his movie Cheer For Your Life, Booth has taken on another project. Fix and Flip is a comedy being shot in Windsor, home to one of its screenwriters. Still, as is often the case in the entertainment industry, it was a past connection that got Booth on board. Booth has known about the project from the start, having read several drafts of the script until the latest morphed into a full-blown production with Probity Pictures. Despite tackling mostly dramatic or dark subject matter in his music videos, he couldn’t pass up the collaboration, local filming and chance to direct a comedy – a genre he loves. The movie itself is about realtor Tony Rutton’s struggles with a dwindling-economy, caused by his city’s only factory shutting down. In an attempt to fix his problems, Rutton purchases a run-down warehouse property with plans of converting it into condos. He soon realizes that it won’t be so easy however. With a rival breathing down his neck to gain control of the property, Rutton must rely on incompetent cheap labour he hired from the city’s shut-down factory. Living in the warehouse after his wife finds out he’s risked their life’s savings, he must also deal with squatters and winning her affections back. Despite the crazyness, Booth feels he can relate to the situation– without the incompetence, of course. Beyond bringing production experience to Windsor, partnering with Probity Pictures will create another benefit for those involved. 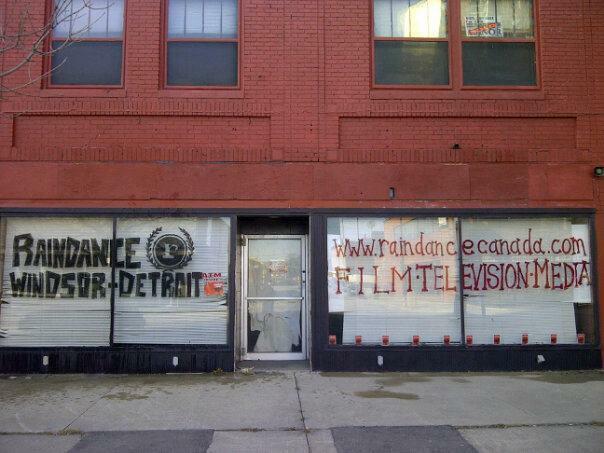 Having a tightly-knit relationship with Raindance’s Windsor/Detroit chapter, their building on 709 Ouellette Ave. (which is currently under renovation) will serve as the movie’s warehouse. This will eliminate the need for set construction and help trim budget costs. All involved remain hopeful that cameras will start rolling for Fix and Flip this fall or winter. Once the shooting schedule is finalized, cast and crew calls will be sent out. Those interested are asked to keep an eye on the ‘News’ section at Mimetic Entertainment’s official website.